My Alcoholic Mother Died When I Was 12. On My 26th Birthday, I’m Finally Telling My Story. – Being a COA is a thing! My Alcoholic Mother Died When I Was 12. On My 26th Birthday, I’m Finally Telling My Story. Today’s piece comes from Eleña H, who has also posted this piece on her medium page. Remember that Nacoa offer life saving love and compassion if you feel affected as a child of an alcoholic. If you would like to share something as a COA then, as always, get in touch here. 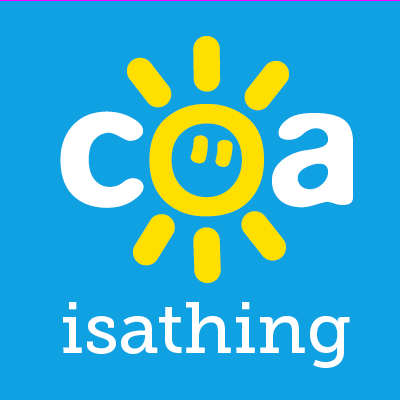 Or alternatively you can email at coaisathing@gmail.com. Today is Halloween, 2017. Today is also my 26th birthday. I have spent the past couple of weeks reflecting on what the first quarter century of my life has looked like. In mulling over who I have been and what I have done in these first chapters of my life, I found myself finally ready to share the most important events that have shaped me. Making my voice heard is my birthday present to myself. What was I born into? I was the little girl that my mother longed for after raising two boys that she’d had young. She never gave up on this wish – she was forty and unphased by her age when she had me. I was a baby born on Halloween because my mom loved holidays and willed it to happen, even though I wasn’t due for another nine days. I was the only child of my mom and dad, though I had many, much older half siblings and cousins. Despite them, I often felt like an only child and spent a lot of time alone, being from a different family dynamic and being so much younger than everyone else. I wasn’t a little girl for very long, but while I was I loved to play in the backyard, climb trees, gently poke the eyes of snails and draw animals of every species with human smiley faces. I loved animals, but I loved cats the most. Even Snowball, who would decorate my arms with scratches. I loved to read and learn, and always excelled in school. When my mom would go to parent teacher meetings, she would usually hear something to the tune of I wish I had a whole classroom of Eleñas! One summer, I read over 200 books in a reading contest at our local library. My dad and I would walk there each weekday and check out four or five children’s books, returning the ones from the night before. I came in second place in the contest that summer. I was sweet, I was loving, and I was smart. But my home life made it hard for me to know these things about myself. One noteworthy trait about me was that I was shy. Painfully, perhaps debilitatingly shy. My older brother’s friends thought I was eerily quiet, and I often found that I didn’t even need to speak for myself because if my mom or aunt were around, they would do all the talking for me. This demeanor stemmed from deep insecurity and self doubt, which were just a few of the byproducts of my mother’s severe addiction to alcohol. By the time I was about seven years old, I felt highly responsible for her. I learned to make my own dinner, turn off the oven and lock the doors when she would fall asleep on the couch or the toilet. My parents had divorced when I was six and my mom got primary custody of me, so I was very often alone in the house with her and her addiction. When I think back on these years, I overwhelmingly recall feeling unsure of myself, not wanting attention on me, not wanting to speak, and yearning to be invisible or just disappear altogether. I was hyper responsible and had grown used to my mom’s screaming when she was drunk and warm affection when she was not. The drunk version of my mom didn’t think twice about making me feel like my thoughts and feelings were completely invalid. I don’t think my sober mom ever knew that this happened. My father was present in my life, but not able to keep me from being used as a pawn by my mom when it came to custody after they divorced. I would stay with him on the weekends – when she would allow me to go – but I could never fully relax and be a kid, even when I was away from her. The moment I would begin to let go and have fun, this would be sharply interrupted by the ringing of the house phone. Any lightheartedness I had been feeling would immediately melt away from me and be replaced by seriousness, by responsibility, by fear. I would tighten back up and I was learning that it was never okay to let go and have fun. My mom would call, drunkenly slurring and not really saying anything at all. Experiences like this were so commonplace for me that I was programmed to understand worrying and anxiety as normal states of being. I was not even an age of double digits yet and I was worrying about my mother no matter where I was. I didn’t think she would be okay without me. I came close to skipping sixth grade camp for this reason, and I probably should have because I spent the whole time nervous and distracted while other kids were carving wood and laughing. My father had struggles of his own, diagnosed as bipolar in his mid-twenties. This probably partially contributed to his getting married to an addict not once but twice – his first wife is now permanently in a wheelchair due to a stroke suffered after a heroine overdose years ago. My dad has always been not only a supportive father to me but an example of a truly good man. It couldn’t have been easy battling his own mental health demons while fathering six children. While my parents were still together and I was still young enough to play on the swingset in our backyard, my father had a suicide attempt – the second one in his lifetime. He took a bottle of pills, which he had happened to get from his ex-wife. My mom was cooking one evening and told me to go tell Daddy that dinner would be ready soon. I went upstairs and relayed the message to him while he laid in bed, to which he responded, “Tell Mommy I won’t be down for dinner.” The next and only thing I remember from that evening is being on those swings outside with my aunt and hearing the sounds of an ambulance as sunset colors filled the sky. It turns out that my dad had been off of his bipolar medication when the attempt happened, and after this incident he got back on them and stayed on. It’s lucky for me that he survived and opted for stability, because I would have been orphaned if he hadn’t. Some years later when I was just months into being twelve years old, my mom died. Cirrhosis of the liver. It happened on a day that I had felt particularly ashamed of her. When I got out of school that afternoon, I was walking away from the grounds only to come upon her sprawled out in the grass by the sidewalk waiting for me. I knew it was because she was wasted and I once again wanted to disappear. It had become routine for heavy feelings of shame, dread and embarrassment to sweep over my body when I would be with her, drunk and stumbling in public. On the drive home (yes, she drove with me in this condition enough times to be good at it and for it to be normal through my childish lens), I somehow worked up the courage to tell her that I wanted to live with my dad for awhile. I had no idea in that moment that my wish would be granted, and for much longer than a while. I did as he said, and the next bit that I can remember is my mom being put into the back of an ambulance. My brother’s friend had come to be with me until anybody else could get there. He nervously stood with me in the driveway and told me that everything would be okay. He didn’t know what else to say. I later wished he hadn’t lied. By the time I got to see my mom in the hospital, she was attached to a bunch of tubes and machines. All she could do was look at me as she struggled to keep her eyelids open. Her eyes couldn’t focus, rolling around to different corners of the room. It made her look confused and dizzy to me. She was on her way out at 52 years old. I don’t know if she even really saw me when her eyes did meet mine, but I saw her as I stood there filling the shoes of the daughter she had always wanted so badly. So many of my childhood memories are hazy and filled with holes and rips, but for some reason I remember so vividly that drive home from the hospital. Silence and early morning sunshine filled the car as my dad drove and I stared out the window, watching a whole new life passing by me. These are not the only experiences that I have had with death, addiction or mental illness in my family. For awhile there, these struggles seemed to be rampant on both my mother’s and father’s sides. But the memories that I have recounted here are the ones that have shaped me most. Nearly 14 years have passed since my mother’s death, but these memories have somehow gotten crisper and stronger over time. As I have become a woman – hugely on my own – I have grown to be determined in understanding how my childhood traumas, as well as my mom’s inability to face her own, have molded me into the person that I have become. My quirks, my habits, my strengths, my fears, my desires. I have been shaped just as a planet is smoothed out after years of being violently slammed with debris in unexpected crashes and chaos, completely out of its control. I have worked through a lot of pain on many levels. At 17 I began having chronic muscle and nerve tension. At 23 I went through intensive therapy and learned how to give language to and understand the huge role that anxiety had been playing in my life. And now, at freshly 26, my attention is on the feelings of powerless experienced by the little girl that I was. All the insecurity, all the self doubt, all the shame, all the self-consciousness. It still attempts to creep up in my life, but I will not allow these remnants of my past to dictate my present or my future. I am not that little girl anymore, always staring at the ground, silenced by the sad and sick adult in her life who was supposed to guide and protect her. That little girl was helpless to what happened in the environment around her and thus, in her entire world. Today, I am grown. I am a woman. I am sober. I am in control of my own life and the environments that I enter. I am fit and healthy, devoted to healing my pain in natural ways. I meditate, committed to deeper self-knowledge and inner strength. I have found a remedy for my anxiety in this place within myself, and I am constantly learning how to further embody peace. I have beautiful, long-lasting friendships with women who have helped me fill in the pieces along the way of understanding what it means to be a strong woman. I continue to have a close and meaningful relationship with my dad. I have a healthy relationship with a man who shows me patience, respect, trust and understanding. I am an artist and take solace in creation. I am one semester away from getting my Master’s degree in sociology. I have recently moved past the anger towards my mom that I have long held onto and have been able to see her as a woman in pain, which has allowed me to forgive her. I am an advocate of self-love, self-care and positive self-talk. After lots of practice (and still, many slip-ups), I am able to tell myself all of the things that the little girl in me needed to hear in order to bloom. She is still listening. I will end by telling her this: You are courageous, little one, for making your voice heard. Previous Post Anxiety, Indecision & Living With Depression. Next Post How Much Alcohol Is Too Much? Thank you so much for telling your story. I got so much identification. Such powerful writing – you are a true inspiration! Jules, thank you so much for your feedback. If I can provide any comfort or support to others by telling my story, then I feel truly fulfilled. I’m so glad I could connect with you! You are indeed very courageous and inspirational! There is so much here I can identify with although it took me much longer to come to terms with the issues you have so articulately described. I am very glad that you have learned so much about yourself at this early stage in your life and you can move on into the next phase confidently and in a position to achieve all that you are meant to. Ali, I have heard that a few times – that I have reached these realizations early in life. Sometimes, I am not sure which direction to go from here, but I get to know that whichever way I do go, I will proceed with this awareness and understanding. I deeply appreciate your response, and your words of support. It feels so good to connect with others who understand these experiences. Alison, it’s so beautiful that you are giving stability to your grandchildren. I’m sorry for the losses that both they and you have to experience due to your daughter’s addiction. I’m so glad that you found my story, and to have been able to be in communication with you. Know that there is someone out there thinking of you and wishing you and your family wellness and strength.